Fibromyalgia affects the muscles and soft tissues, causing chronic muscle pain, fatigue, and sleep problems. Women are much more likely to develop it in comparison to men. This health problem causes a widespread pain and tenderness throughout the body, and this pain tends to come and go. It often begins in middle adulthood, but it can also occur as a teen or at an old age. 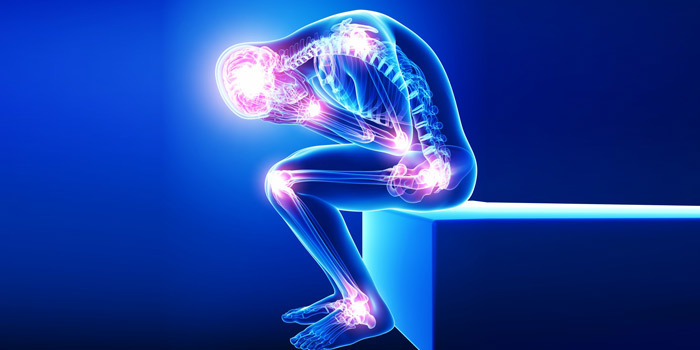 If you have a rheumatic disease (affects the joints, muscles, and bones) you are at a higher risk for developing fibromyalgia. Symptoms can happen either gradually over time or suddenly following a physical trauma, surgery, infection or psychological stress. The common symptom is feeling pain throughout the body. Other symptoms include tenderness to touch, severe fatigue, sleep problems, and problems with memory. Other symptoms a patient may experience are depression and anxiety, migraines, digestive problems, an irritable or overactive bladder, and pelvic pain. Is There Any Treatment & Cure for Fibromyalgia? There is no cure for fibromyalgia, however it can treated with medication and non-drug treatments. There have been several drugs approved for treating fibromyalgia, these include antidepressant drugs and drugs that change the brain chemicals such as serotonin which help to reduce pain levels. There is also medication available to treat sleep problems, such as Lyrica which helps improve one’s sleep. Non-drug treatments include physical exercise, such as aerobic exercises, Tai Chi, and yoga. Cognitive behavioural therapy includes focusing on one’s thoughts and behaviours. Lastly, other therapies include acupuncture and chiropractic and massage therapy. To be eligible, you must be experiencing severe pain the majority of the time. This means that you are considered as markedly restricted, meaning that you are severely affected by your fibromyalgia. In addition, you must have a medical practitioner who is willing to sign for your claim. If you have had your fibromyalgia for over 12 months, you may be eligible for this disability tax credit program. To apply, contact our experts today for a free assessment to see if you meet the necessary criteria outlined by the government. If you do qualify, our team will guide you along this 6 to 8 month process where we will send you paperwork to be signed by yourself and your doctor. It is important to note that you must have a taxable income of around $23,000 or above, as you must be paying enough in taxes for us to be able to claim back this money. This government program can grant you up to $40,000 for your disability, which can help to alleviate any financial pressures you may have. Our team strives to get you the money you deserve, and we will work hard to have your claim succeed.